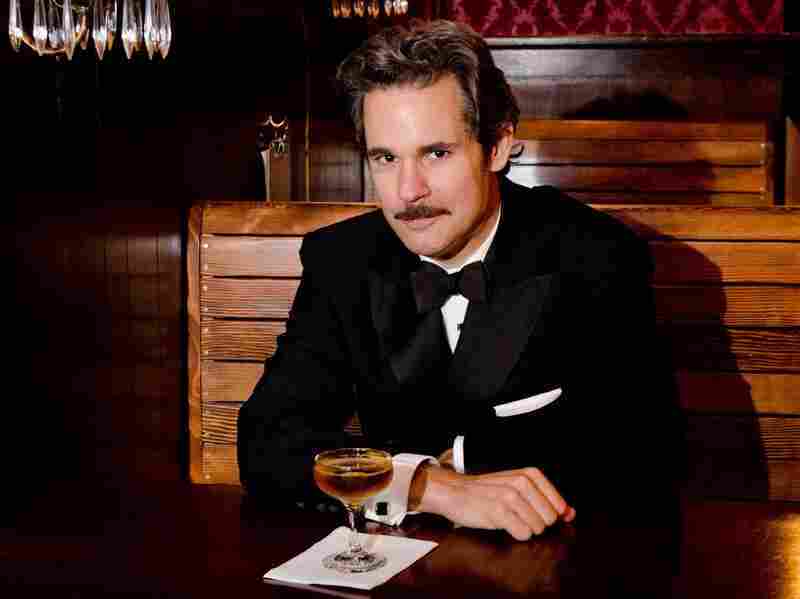 Interview: Paul F. Tompkins, Comedian Every month, comedian Paul F. Tompkins plays the late science fiction author H.G. Wells in hosting different famed writers (played by some of comedy's hottest stars) for in-depth interviews about their work, their personal lives and their anger at critics. Paul F. Tompkins is a stand-up comedian and the host of The Pod F. Tompkast podcast. He was a founding cast member and, later, host of VH1's Best Week Ever. H.G. Wells looks remarkably good for having died in 1946. That's because he's being played by comedian Paul F. Tompkins. Tompkins assumes the role every month for a series called "Dead Authors" at the Upright Citizens Brigade Theatre in Los Angeles. Wells — author of War Of The Worlds and other early sci-fi novels — activates his time machine to pull famous writers back from the beyond for improvised evenings starring some of comedy's biggest stars. The show has featured Kristen Schaal playing Tennessee Williams and John Hodgman as Ayn Rand. It's also become a popular podcast. Tompkins talks to All Things Considered host Arun Rath about reassuring comedians that their literary knowledge is adequate, and trash-talking sci-fi author Jules Vern. 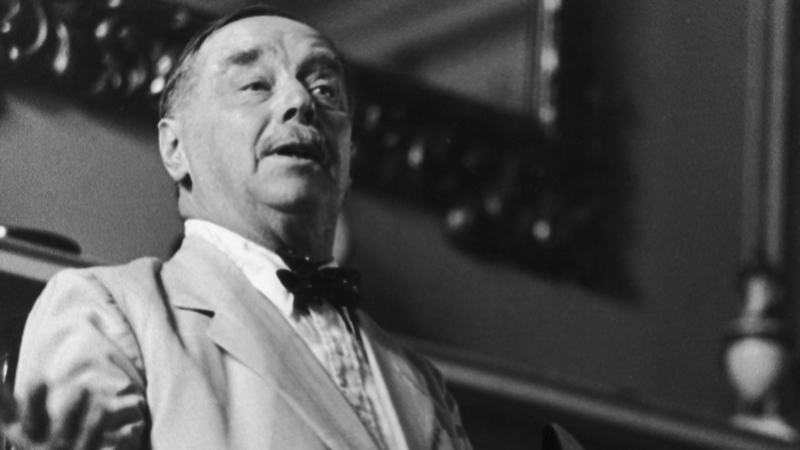 The late science fiction author H. G. Wells, shown here in 1944, is the ostensible time-traveling host of the Dead Authors Podcast. Comedian Paul F. Tompkins plays the role at the Upright Citizens' Brigade Theatre in Los Angeles. People are always daunted at first. ... I say, it doesn't matter, you can pick anyone you want, I will do all the research, and I will only ask you questions that you can answer any way you want. I call them "emotional questions." I will never ask for a fact or a date or anything like that. I'll just say, "This happened" — I'll lay it out for them and for the audience — "How did that make you feel?" And then they're free to say whatever they want. Its very title is incorrect! League is not a measure of depth, it is a measure of distance, going rather more horizontally. Although at least it shows some imagination — because the rest of the book frankly just takes things that exist and then writes them down. "Oh no, a giant squid!" There are giant squids. That's neither science nor fiction. One of the things that I've noticed about the show is that all the performers seem to gravitate towards the bitterness that can come out of a career in writing. There's a lot of jealousy, there's a lot of anger at people that ripped people off — and so much anger at critics. So much anger at critics, and it comes up again and again. Of all the research that I've done on authors for the show, I think H.G. Wells is the one I've researched the least.